Remington shavers are legendary around the world for their ability to shave closely and comfortably. 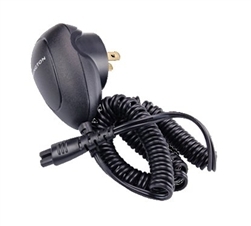 This Remington shaver cord RP-00113 (rp00113) is Genuine original equipment. If your Remington shaver cord goes missing, replace it with this Genuine power cord. Remington RP00113 Shaver Charger Cord fits the following shaver models: MS-5200 MS-5500 MS-5700 MS2-150 MS2-280 MS2-290 MS2-390 MS3-0004 MS3-2000 MS3-2700 MS3-3000 MS3-3700 MS3-4000 MS3-4700 R-9100 R-9170 R-9190 R-9200 R-9250 R-9270 R-9300 R-9350 R-9370 R-9500 R-TCT.